If you’ve known the area for a few years you might remember the old promenade, but did you know about the Bathing Station on Cleveleys beach? Around the end of Beach Road you might remember that there used to be a flat faced part to the sea wall with big doors in it leading to the beach. Before the promenade was rebuilt the fishing club used to store their tractors in there which they use to tow the boats out to sea. With the help of our friends from the Thornton Cleveleys Past Facebook Group, we’ll explore the original purpose of those doors. 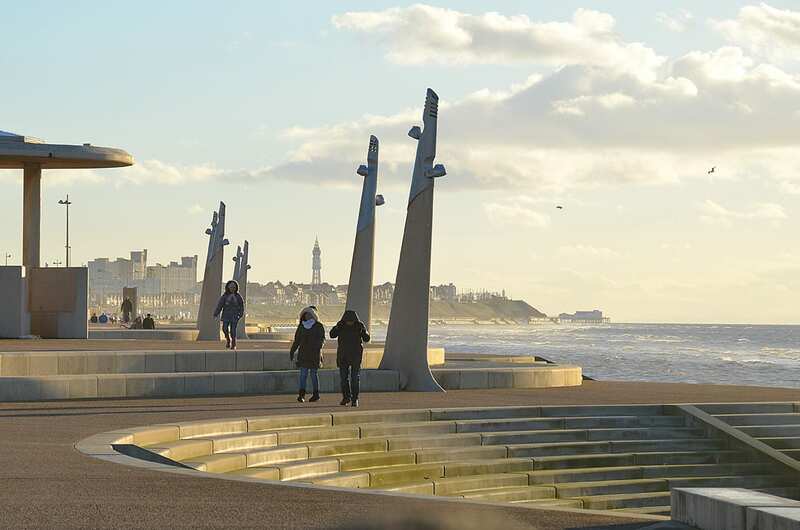 They were built as part of the former Cleveleys Bathing Station. 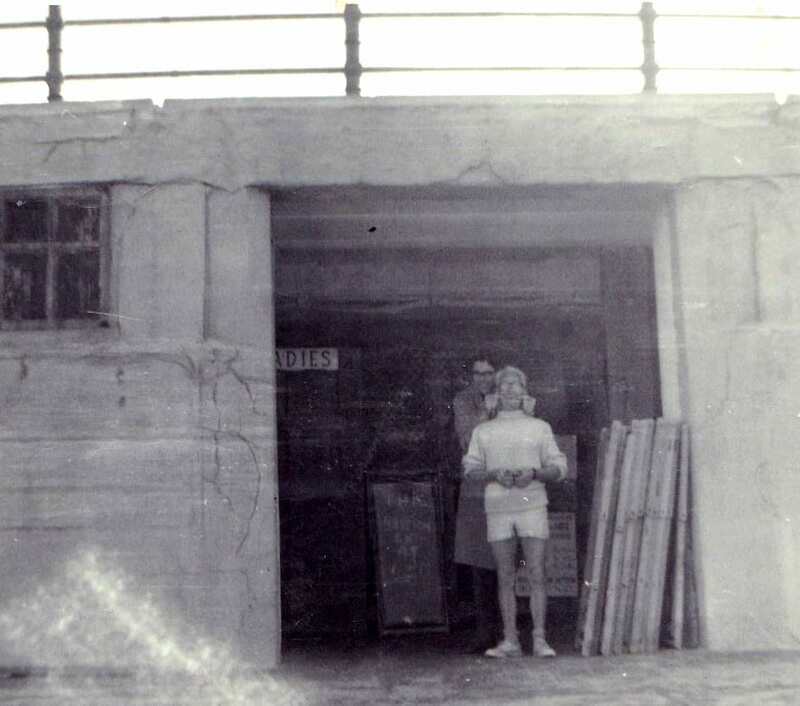 The doors of Cleveleys Bathing Station were the door to a summer world of sunbathing and enjoying the beach. Inside were toilets, changing rooms and a shower. The lifeguard was based there and it’s where you would have hired your deck chair from. Glass bricks were set into the top of the wall to let light into the changing rooms. Glass bricks were also in the roof of the building – which of course was the floor of the promenade above. 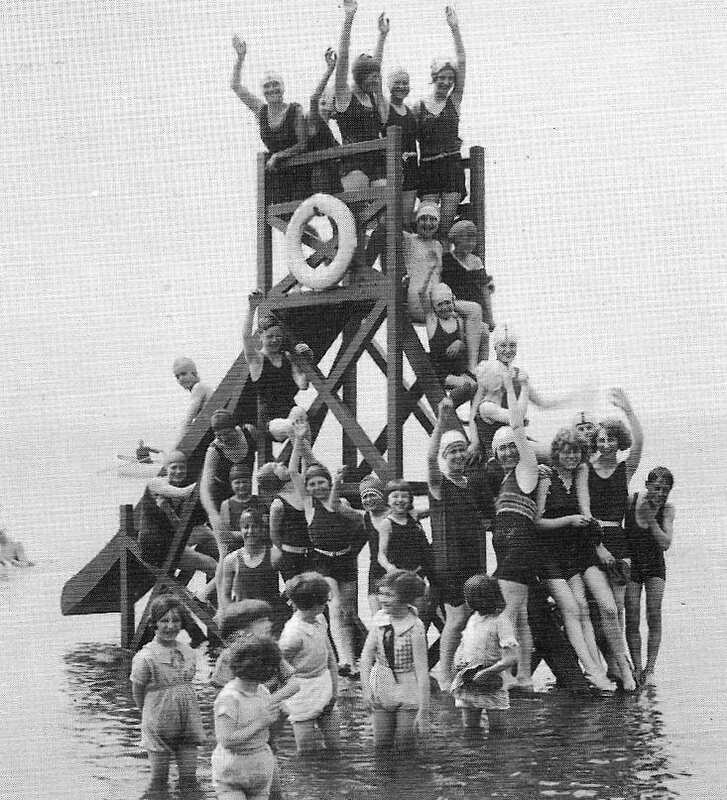 The old diving board is often discussed which hundreds of teenagers enjoyed every summer, in the days before health and safety. It was a wooden structure, covered in barnacles which many a local kid got scraped with. They probably still have the battle scars to prove it! This photo from the 1930’s is the original beach slide which was a moveable structure that was taken inside during the winter months and bad weather. It was replaced with a permanent version some years later. “I was a Beach Patrolman at Cleveleys for each of the summers 1960-1963 in my summer vacation from Manchester University. My brother David was there from 1960-1962. We are the twin sons of the Revd R.L. Jenkins who was minister of the then Cleveleys Congregational Church, Rossall Rd, (now the United Reformed Church). “As you could image I have quite a few memories and stories from that period. At this point may I just confirm that the station was in use everyday for most of the summer. I was only able to be employed by Thornton Cleveleys UDC from mid June to September. “When I came with my brother in 1959, we gradually took over from a long serving beach patrolman called Billy Mills. Billy was immensely fit for his age and reluctant to retire. 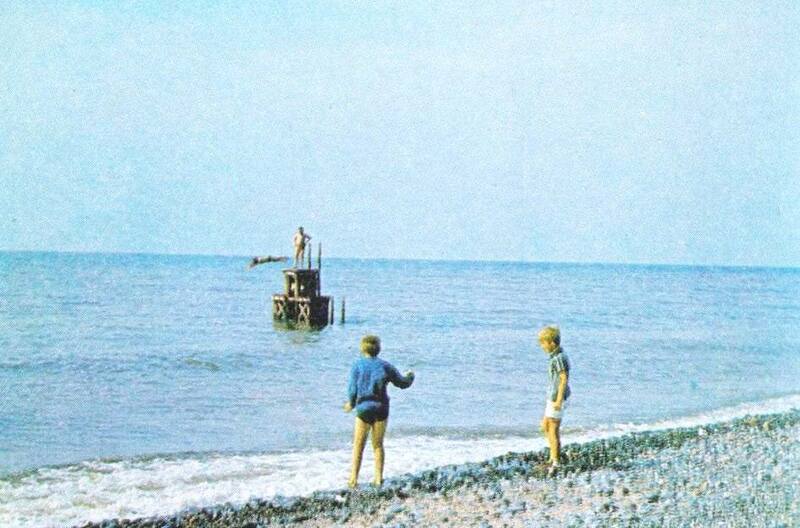 He swam huge distances in the sea parallel to the coast from Rossall to Anchorsholme, most days when it was fit. He knew the effects of the tides and the movement of the sandbanks and the eccentricities of holiday makers. We had a phrase that folk left their brains behind on the televisions (if they had one – TV not brain!!). Folk came down in the Wakes weeks and expected to put their deckchairs on the same bit of sand as the previous year. “One year we adopted a guillemot whom we called “Charlie” – he was marooned on the beach exhausted and we took him in and revived him. After that sort of attention he did not want to leave us and we had immense difficulty in getting him to swim away at the end of the season. On a flat tide, Billy and I took him out in the rowing boat. Bill jumped in and took the bird some distance away and urged him to go. The bird eventually complied but gave Bill a peck on the behind – his way of saying thank-you. 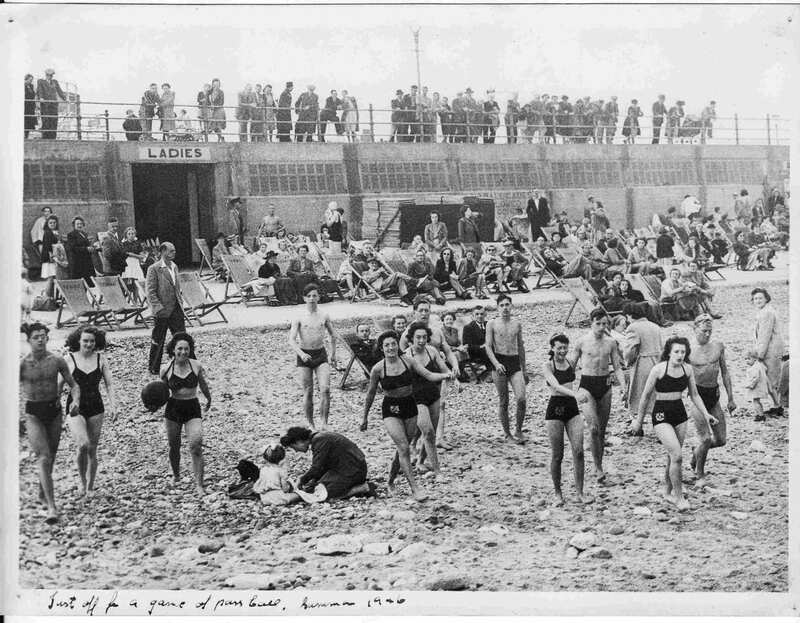 “Our role as beach patrolmen included the emptying of the pennies from the loos on the promenade on a Monday/Tuesday morning, and then helping to take them down to the bank with the Superintendent in a big leather bag strapped to his bike. This was quite a task after a rare warm bank-holiday! “We also had a first aid post as part of the bathing station, as there were many minor accidents, as well as a few major ones. (Jubilee Gardens had a dangerous slide).  “Selling deckchairs and paying the refund was part of the job of all the staff. There was always fun when a sudden storm came on and we were inundated by the chairs – no one could get the knack of folding them up properly! We had one in the hut which said Rhyl UDC – it had quite a trip! “I’m now in my early 80’s and have lived all my life in Wakefield. During the latter part of the War and soon after I spent my summer holidays with my Aunt in Cleveleys who had a boarding house there. 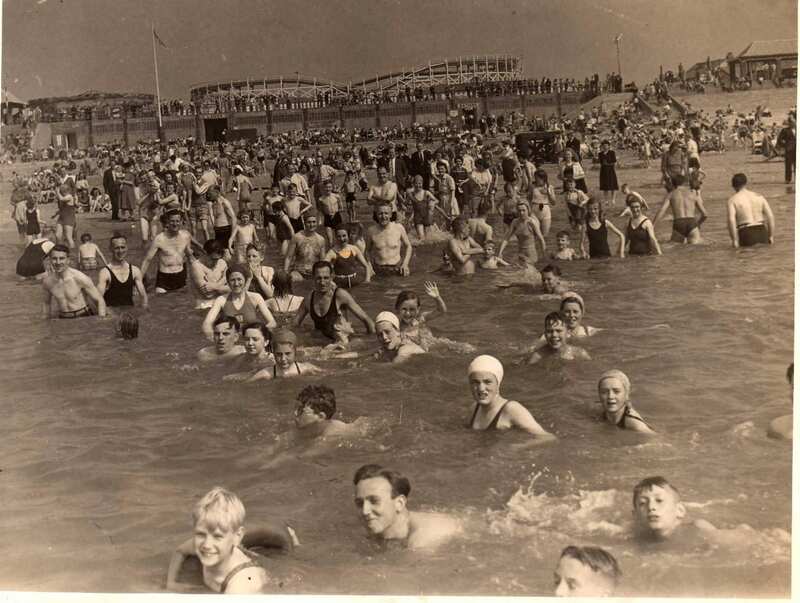 “In the August of 1947 there was a heat wave and “The Gazette & Herald” produced an article on how people were managing to keep cool and it included a picture of the Beach Bathing Station. “This photo is a picture take by the newspaper photographer at that time, but not the one actually produced in the newspaper. 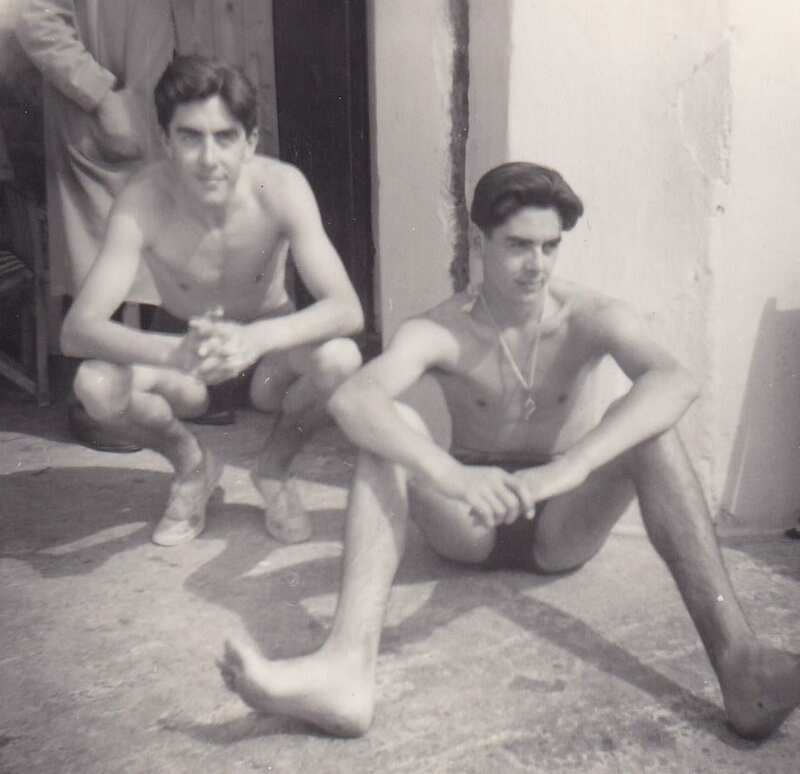 I happen to be one of the youngsters in the foreground of the picture. “I have a cousin who is 12 years younger than me who has lived in Cleveleys all her life and we are having a friendly argument as to precisely where the Beach Station was located. “I claim that if a straight line is drawn from the top of Beach Road it was immediately to the right of that. In fact I claim that the house which can be seem in the top right of the picture (not the building on the promenade) was actually on Beach Road! 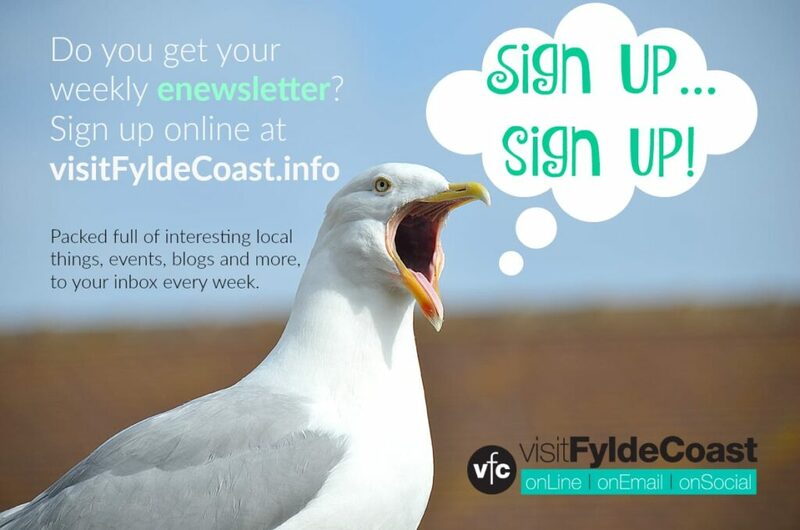 “My cousin thinks the location was a little nearer to Rossall than that. 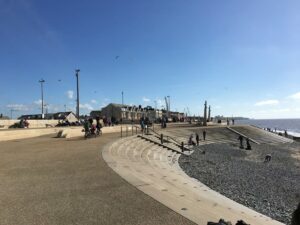 I thought that Visit Cleveleys had answered Roy’s question about the location of the Bathing Station, although not with a photo to prove it. After sending the link to this article to Roy he replied to prove himself wrong! Roy went on to add “The “ish” in your email actually proves me wrong! I was very precise about the start of the bathing area being immediately at the top of Beach Road, but my cousin insisted it was a little more towards Rossall. 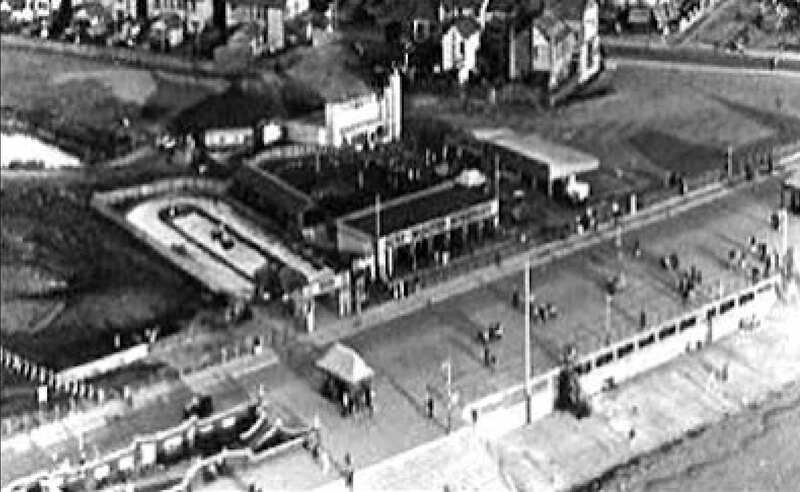 “I eventually found this rather poor picture of the Cleveleys Pleasure Beach area where the bathing station is visible. So is Beach Road where, unfortunately for me, it can be seen that it is certainly to the right of the Bathing Station. Regular reader John Wallwork also emailed to say that he remembered the Bathing Station being opposite to where the Harvester is now. Although looking at Roy’s photo (above) it looks more opposite Jubilee Leisure Park. Michael Mallon says “I remember spending half the summer on and around that diving board, late 60’s early 70’s. I remember going home cut to pieces by the barnacles that were all over it.” The barnacles feature heavily in your memories of the diving board, Anne Bowen commented about them too! Andy Ball told us about a long forgotten boat service which would be a popular thing today – if it could get past ‘Health and Safety’! He says “When I was a taxi driver I used to pick up a customer from Thornton called Jim. He moved here as a young boy with his parents in the 50s and his parents either bought or set up a cafe in the bathing station, so he used to spend all his summer holidays in the beach / bathing station area and he told me many times that the local boatmen used to run short boat trips to see the ruins of Singleton Thorpe! Indeed it does Alan, and that’s a subject for another day! 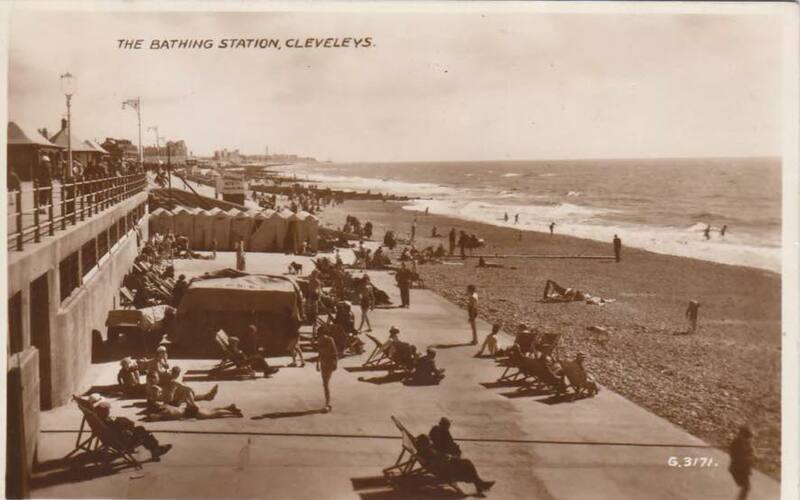 Do you have any memories or comments about the bathing station on Cleveleys beach? Why don’t you add them to this article in the comments below. If you’ve got any photos to add please email them to jane@theRabbitPatch.co.uk and they can be added to the page. Full credit will be given for all photos. 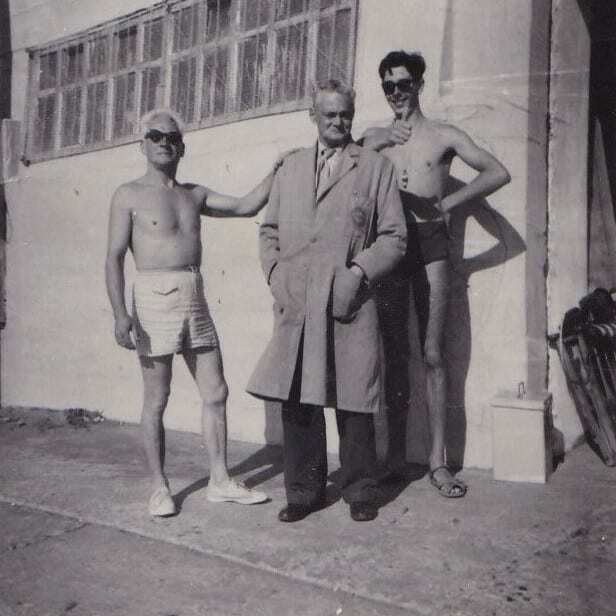 I lived @20 Beach Rd from 1938 &I know the bathing station very well. Mr Tom Gribble was the custodian of deck chairs & selling tickets. We used to collect the deck chairs left on the beach @the end of the day during Summer holidays. We had great times on the diving board also.